Mongolia is landlocked country bordered by both Russia and China. 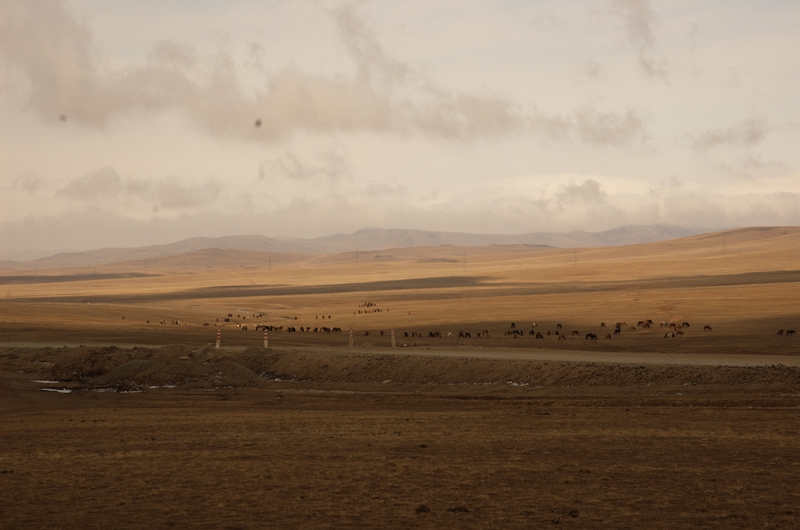 The capital city is called Ulaanbaatar and around 45% of the total population live there. The country has an old nomadic history, made famous by the Mongol Empire which was led by Genghis Khan and went on to become the world’s largest empire. Although it is the 19th largest country is the world, it is also the most sparsely populated country in the world. Even today, around 30% of the population still live a nomadic lifestyle. The landscape is diverse with the Gobi Desert in the south and mountains in the north. The climate is generally quite warm in the summer, but the winter months can be extremely cold with temperatures dropping to below 30 degrees Celsius. Read more about Mongolia from Wikipedia. Ulaanbaakar by Krokus – Own work. Licensed under CC BY-SA 3.0 via Wikimedia Commons. 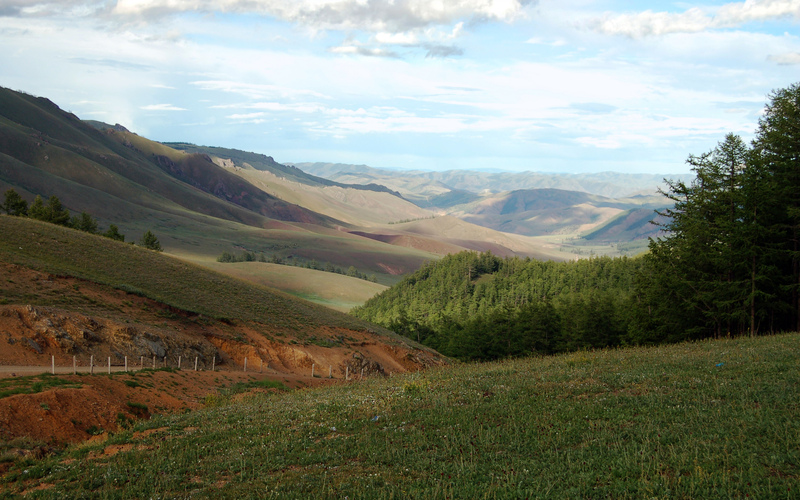 Mongolia will give you an experience like no other country. Located in the heart of Asia, there is no other country quite like it. As tourism and other business sectors in the country continue to grow rapidly, there is a growing need for native English speaking teachers. Mongolia is country on the rise and the locals can see the need to learn English to enable them to continue their fast paced development. When you’re not teaching, there is a lot to see and do. The cities are beginning to become more modern and there are many things to see and do. If you like to escape from the city then hiking, skiing and hunting are also popular pastimes. You can even experience staying in a traditional Mongolian tent. Just remember to dress up warm! Modernisation is taking its toll (with pollution and infrastructure) on the large cities but they offer the most jobs. Most schools are located in the capital city of Ulaanbaatar and other cities including Darhkan and Sukhbaatar. There are many private language schools in the large cities. Some have very good reputations and others don’t, so you should do your research about a school before you accept a job. There are schools that provide great conditions and benefits for their teachers such as flights and accommodation whereas others don’t. It’s very important to get advice about schools before deciding to accept a job. The government has started incorporate the English language into the national school curriculum. Therefore, public schools also employ native speaking teachers. However, public schools often pay much less than private schools and universities. There are other benefits of working for the government that include visa arrangements and holidays. Even universities are looking to employ native English speaking teachers and they offer good rates of pay. To work in a university you will need to have good qualifications and recent teaching experience. Usually the only requirement is that you are a native English speaker and most schools will not require that their teachers have qualifications or experience. However, if you want to find a good job with a higher salary and good benefits, it always helps to be well qualified and experienced. It should be easy to find a job with no degree and no TEFL, TESOL or CELTA and having these don’t always mean that you are a good teacher. If you’re looking to work in a university then you will need to have relevant qualifications and experience. Schools are crying out for native English speaking teachers and it shouldn’t be hard to secure a job regardless of your qualifications and experience. [sociallocker id=”2060″]Expected salaries for teachers can range from as little as $800 (USD) per month to as much as $2000 (USD) per month. There are many things that will affect your monthly salary including the town or city where you are living, the school/company that you are working for, your qualifications and experience, and the number of hours that you teach. Some schools will also provide benefits such as accommodation and flights, but not all. Before you sign a contract, make sure that you enquire about any benefits that you receive on top of your salary. The cost of living is also quite low. Transportation is very cheap, but foreigners should be aware of overcharging. Moreover, accommodation and food can also be quite cheap. There are restaurants in the larger cities that cater for all tastes and budgets. Similarly, there is accommodation available that caters for all budgets. Most teachers enter the country on a tourist visa that lasts between 30 and 90 depending on your nationality. After you are in the country, you are then free to start looking for work. Once you have found work, your school will apply for the necessary paperwork on your behalf. You won’t often find schools advertising online for teachers and most will secure a job when they are already in the country on a tourist visa. However, you will sometimes find vacant positions advertised on ESL jobs boards, national job websites and on a school’s personal website. The best way to find a job is to contact schools directly. You can find contact information for schools online, in local telephone directories, or by asking other expats and going around yourself. If you choose to visit the schools in person, make sure that you have your CV prepared and that you are dressed to impress! Different teachers have different experiences working in Mongolia and you will find some that really enjoyed their classes and others that didn’t. The large cities are highly polluted, especially the capital city which is one of the most polluted cities in he world. If you don’t want to live in a heavily polluted city, then look to Darhkan and Sukhbaatar instead. Rates of pay vary considerably, but the cost of living is fairly low throughout the country. You should be able to find a job that covers your basic living costs and then some. Although I have never worked in this country, every effort has been made to ensure that this information is correct. This blog post has been written after extensive research online, interviews with teachers who have worked or are working in the country, and local schools have been contacted. If you have any questions, please leave a comment below. If you have worked or are working in Mongolia, we would love to hear from you, so please leave a comment and share your experiences with us.